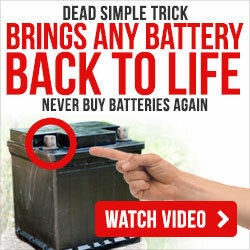 Home Can A Car Battery Recharge Itself After Being Dead? Can A Car Battery Recharge Itself After Being Dead? So, you might have heard this million-dollar question before: Can a car battery charge itself? This particular question leaves most car owners confused and at the same time interested. Well, a car battery charging itself just sounds impossible, but what if this is true? Or maybe, this is just a myth? 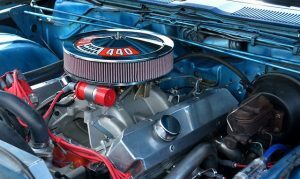 Furthermore, many people, particularly car owners, have been wanting to know if a car battery can really charge by its own. And if ever this is true – that’s just great – we can save more money since self-charging batteries can last for some time. So, if you are wondering the answer to this question: does a car battery recharge itself? Better go ahead and take a look below for more information. 1 How Long Can a Car Battery Last? 2 Car Batteries: Can It Charge by Their Own? How Long Can a Car Battery Last? Cars battery are commonly manufactured to lasts between two (2) to five (5) years. But a battery’s lifespan can also depend on certain conditions. You might be wondering what are these conditions, right? Well, let’s find that out. (For more information about average life car battery, then read here). A car battery can last for some years. Although it can survive for that long, there are things that can negatively affect it, which can reduce its lifespan overtime. To keep your battery in good condition, here we’ll give you the factors you must avoid. Extreme weather temperatures can badly affect and decrease the life of a battery. 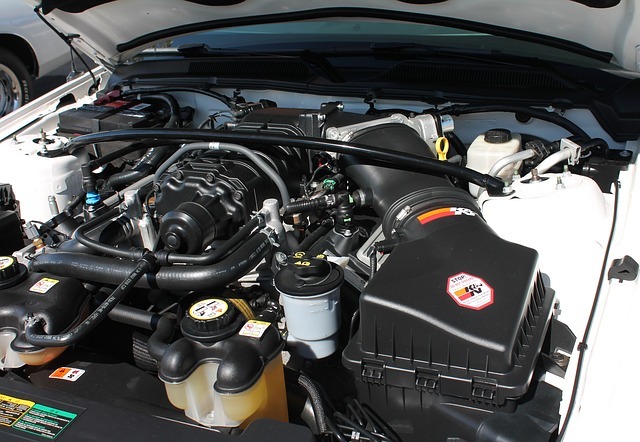 If a weather is too hot, this can cause mild to severe damage to the internal structure of the battery itself. On the other hand, if a weather is too cold, it’ll be quite harder for your car’s engine to turn over, forcing your battery to consume more juice than normal. Both these weather conditions, especially if too extreme, can cause a big problem for your battery’s life. Having lack of proper maintenance of your battery could also lead to a shorter life. As much as possible, try to check your car’s battery regularly. Moreover, you should know that excessive dirt can definitely drain your battery’s power, so try to keep it clean and do a routine battery checks to keep it in good condition. Yes, short drives can drain your battery. But why? If you regularly drive for short distances, the power of your battery will drain as it doesn’t get enough time to recover and as well as recharge. To avoid draining your car’s battery power, try to drive longer distances at least once a week and only do short trips sometimes. If you find your battery draining too fast, always try to double check your lights before leaving your car. Leaving your lights on when your car’s engine is off is one of the simplest way to kill its battery. You might want to take note of this if you want to keep your battery running for some time. Well, a car battery does not last forever. It can run for some years, but it will eventually die as it ages. From time to time and after some uses, the battery will lose its strength, and once this time comes – you’ll need to recharge or replace it immediately. So, above are the factors that can reduce the life of your car’s battery. Now that you understand the things that commonly causes your car’s battery life to shorten, we’ll now tackle if its possible for a car battery to recharge itself. Car Batteries: Can It Charge by Their Own? A car has an alternator. The alternator’s function is to convert engine crank shaft’s mechanical energy to electric energy. This process generates AC current, which then converted to DC and is used to charge the batteries. The current from the alternator provides current for the vehicle, and the excess current is there to charge the battery. To simply put, the battery won’t recharge itself – it’s there to help start the car and also provide power for the electronics in the car when the engine is turned off. Moreover, batteries don’t produce energy – they only store it. The main function of a battery is to power the starter motor, allowing the car’s engine to start. And when an engine runs, the alternator also runs, which charges the battery. So, no – a car battery doesn’t and can’t charge by their own. Basically, it is the alternator that charges the battery itself. Once the engine is running, the alternator take charge and provide power for the entire car’s electrical system. Also, having a dead battery is unavoidable, and this fact just proved it. But that’s nothing to worry about. You can always recharge a dead car battery with a jump from another car battery. And as there are several conditions that can prematurely kill your battery, you should know that you can still recharge a battery – even when it is already dead. No, don’t just replace a dead battery right away. But if the battery dies close to five (5) years, replacing it should be the best choice. The good news is if a battery dies prematurely, or less than two or five years, jump starting it will allow you to recharge it. (We recommend you to learn about how to revive your car battery so that you won’t have to buy a new one). You can jump start a dead battery by using a battery pack. After jumping your car, just let it run for 20 minutes – this will let the car’s engine recharge the battery. There’s nothing to worry about if it holds the charge, but if not, then it’s time for you to get a new one as soon as possible. So, there you have it. Can a car battery charge itself? Well, that’s, in fact, a no. In addition, if you want to keep your battery in its tip top condition, you might want to avoid the conditions provided above ensure that your battery will survive for some years. This way, you’ll be able to save more and make the most of your car’s battery life.